Have you ever wondered why sometimes everything is so yellowish, blue, orange or purple in photograph which looks very unnatural. 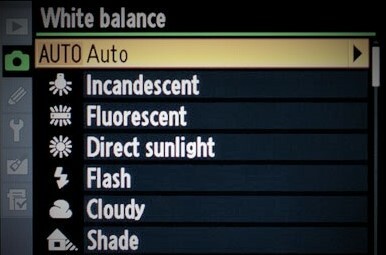 This means you have not selected the correct White Balance as per the current lighting situation or scene. Here in this blog White Balance we will be Understanding White Balance In Photography and Different White Balance Settings in a camera. Different WBWHITE BALANCE is something which determines how color comes out in your photograph. Sometimes it can be cooler (with more shades of blues) or hotter (shades of orange/yellow) or we call this term as Color Temperature. Camera determines color according to current lighting condition such as cloudy, in-door, daylight or in shades. For example, if you are taking pictures under incandescent lighting condition, then camera will reduce the amount of orange in the colors and boost blues to produce more neutral colors for final image. Most photographers don’t invest much time on white balance, because now a days almost every camera has built-in program or software which is smart enough to select correct white balance for any scene thrown at it. But there are few times when you are not happy with automatic selection of white balance, and you need to override this with manual white balance setting. If you have kept WB as Auto in indoor lighting condition where light sources are incandescent bulbs then photo may come out very warm with yellowish and orange tint. So while shoot indoor select this WB setting. If you are shooting in offices or in a place where fluorescent light is used then photo may come out very cool with blue tint. In these cases select fluorescent WB setting. Select this option when you are shooting in direct sunlight condition. Use this when you use flash which compensate cool light of flash. This can be used when lighting condition are cloudy. When you shooting in shade like in a tree shade then in such cases select this setting. Its better leave it in auto mode when you are not sure what to choose. In most cases you will get a quite accurate results using the above preset white balance modes, but now a days most of the digital cameras comes with manual adjustments of white balance too. So if you are not happy how your camera is calculating white balance then you can change it and see which white balance preset is working good for that particular photograph. Choosing correct white balance would produce the actual and right color in photographs. And if your not sure or forget to select the correct White Balance setting then don’t worry, these days most DSLR have RAW Image file options too. 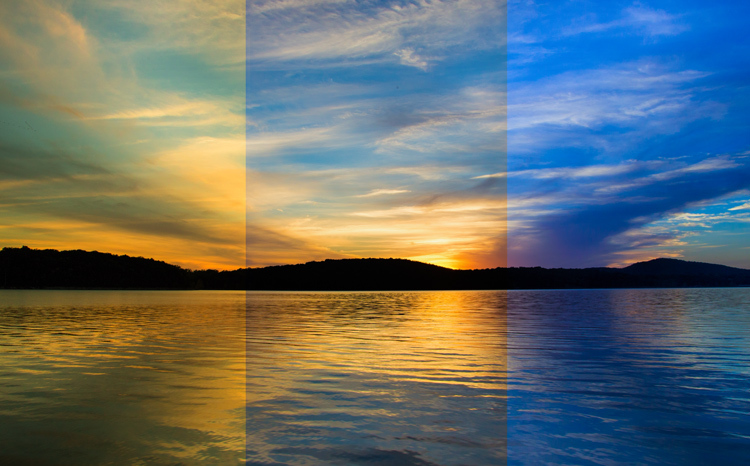 You can always select different White Balance accordingly in post processing, in software like Lightroom or Snapseed. Hope You are now in a better position to tell why you image color is yellowish, blue or purple.